HTC Introduces The Mini One: There were already enough previous rumors, and too many leaks and pictures of prototypes to think that it wasn’t real. 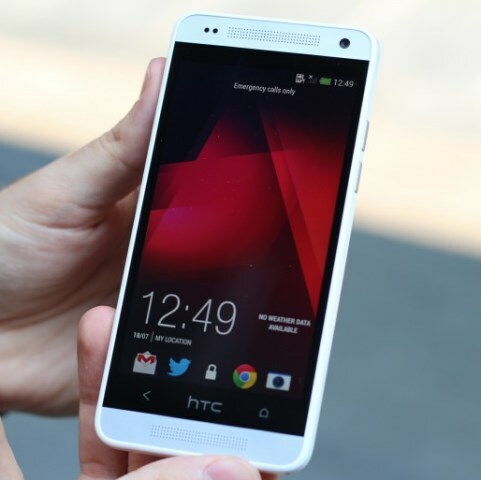 It has finally become reality, and HTC unveiled the HTC mini One, star of ‘small’ size of the smartphone version of Google. However, and as we have been seeing in ‘mini’ version of the competition, HTC One mini is not simply an adaptation of the HTC One to one smaller size, but that your specifications are also somewhat lower, although being as a final result one terminal very interesting. Thus, One HTC Mini keeps both innovations that brought Sense 5.0, as Blinkfeed or the Zoe and some hardware features of the HTC One, among which is a hallmark of the One: BoomSound, the sound that attached to your stereo speakers system gives it most likely the highest sound in the smartphones market. That Yes, its design is not quite equal to the One, it is thicker. Although it maintains a very similar to his older brother lines, edges and curves of its sides are not as thin or curved. But it is fair to admit that, in spite of this, it is aesthetically almost as nice, with an edge over rough while keeping the aluminium body. For what regards its price, 499 euros, reaching some markets beginning in August, and with a worldwide release in September. This trend is not new. Start to look at with the Samsung Galaxy S III mini: manufacturers who exploit their ship pull logo to create versions that are more compact and affordable that encompass one greater potential audience. For lovers of telephony, strategy which is rather short. In my opinion, keep the nomenclature of a very high quality smartphone (Galaxy S III, Galaxy S4, One…) in much more limited devices is not a good idea. “The ‘mini’ should be ‘mini’ only in size, not in specifications” basically, because helps to confuse the user. The disappointment of the mini Galaxy S III was as a matter of expectations. We expected a much more manageable S III, and became… But also very limited. And is that some users will also continue to value screens more contained, but with high-end performance. HTC has jumped on the bandwagon of Samsung and is somewhat closer to keep the second. Resolution down to 720 p, and thus the density of pixels (of 468 ppp ppp 341). Moreover, the only thing that falls is the processor. It maintains practically the quality of the HTC One, although not in full, its closest.